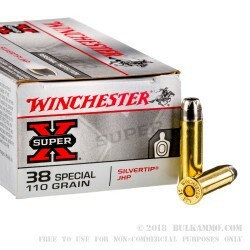 So, you’ve heard of the .38 Special round, but I bet you’re wondering what makes it so special? After all, it works the same way as any ordinary rimfire cartridge. These rounds are called .38 Special because of their origin story. They were derived from the .38 Short Colt, which was originally designed to be used by .36-caliber Navy revolvers. They’re special because they’re a modified version of .38 Short Colt. 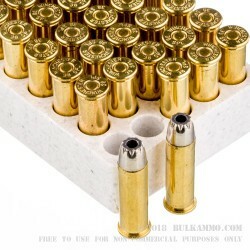 That’s also where the round gets its heel from: the difference in diameter between the bullet and the case. 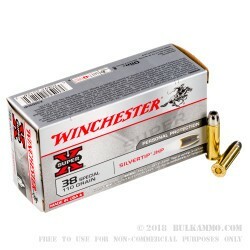 These .38 Special bullets are also special because they are 110-grain jacketed hollow points loaded by the ammo experts at Winchester! 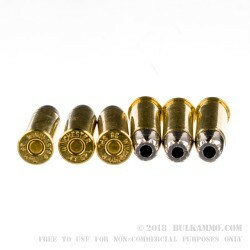 They’re perfect for use in personal defense revolvers or any other firearm which uses .38 Special ammunition. Winchester’s .38 Special JHP projectile weighs in at 110 grain and delivers 218 foot-pounds of energy at the muzzle. It travels at 945 feet per second, and its boxer-primed brass casings are safe for reuse.